Captured Soviet airfield in the Latvian SSR. In the foreground – Soviet aircraft UTI-4 – double training version of the I-16 fighter. 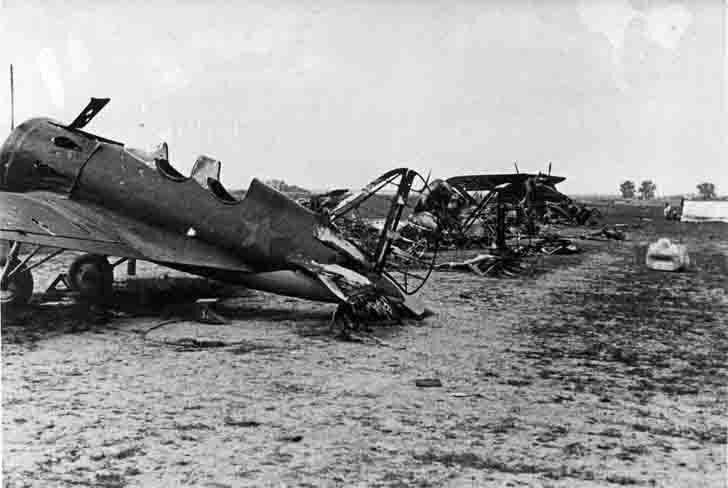 In the background you can see the plane with distinction marks the Luftwaffe on the wings – a Henschel Hs-126. Source: Collection of Marek Tuszyński.